At the end of August I embarked on a new project for the Potomac Bonsai Association. 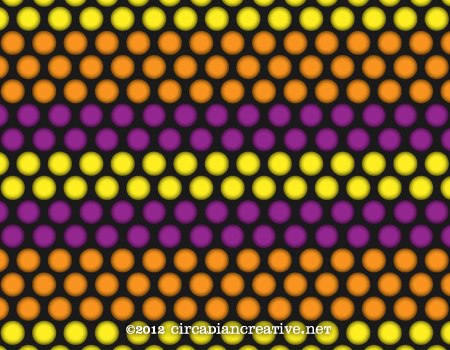 They are quite in need of a new website and I rose to the challenge to help them. At the beginning of the process I created a few rough page mockups and included a redesign of their logo. In all honesty, I didn’t think they had a logo and I wanted to raise the level of their “brand” in the public eye as part of their soon to be released, new website. As it turned out they were already in the middle of elevating their branding with a standardized logo. So my idea was quietly rejected when they sent me their logo in response to my first mockup submission. No worries. At first it was difficult for me to warm up to the logo they presented but this feeling has passed and I am actually starting to like the logo they are using. I won’t discuss their logo except to say that it is official, and approachable. 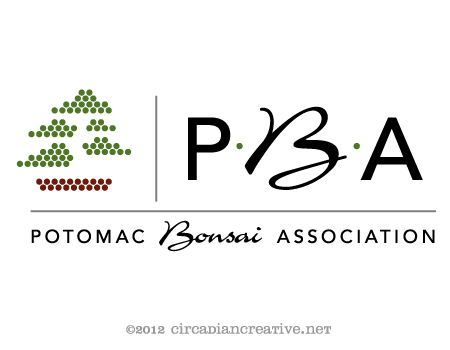 The Potomac Bonsai Association started in 1970 and I don’t have much historical reference for their brand image although I vaguely recall their look from the 1990’s. I have also been paying attention to them during the latter part of the past decade (and as of this year I am a proud member). They seem to go with the flow design-wise, accepting the style of whomever is creating their collateral at the time, whether the creator be professional or amateur. And this is not necessarily a bad thing. My idea was to go modern with a slight retro twist. I have been inspired a great deal by two design aesthetics lately. First, there is a side of me that is attracted to European, Swiss modern style (perhaps it is all my dealings with Bonsai Empire, based in the Netherlands). 🙂 I have always loved design elements conforming to a grid using clean sans serif typography. Second, is my affinity for American, mid-century modern design. I love the advertisements, casual typography and cars from the 1940’s to the 1960’s. You might think that such differing styles would not meld well but they can produce a nice juxtaposition. I also wanted to break the mold of bonsai logos. 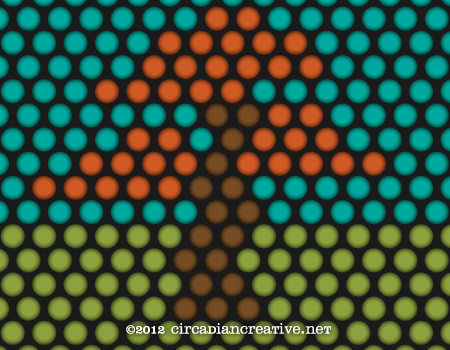 Traditionally they are always a silhouette of a tree enclosed, in a circle. 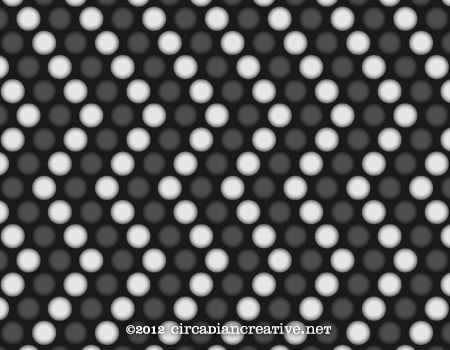 The circle is usually reminiscent of the rising sun of Japan and situated as a background element. The typography is generally a clichéd, oriental or mystical brush script. This theme can be done tastefully but usually it is not and I was not even going to go there. So, here is what I did. I wanted the image of a tree, a bonsai. But I did not want to create a literal silhouette. No Chinese brush, or charcoal sketch renditions. No clichés. Also no big circle placed to inspire the rising sun. I did, however, utilize the circular shape. 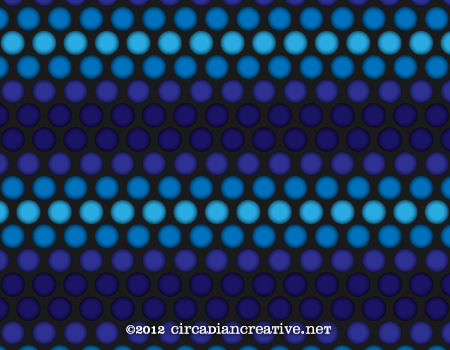 I created a large square grid of many small circles and began playing lite-bright. 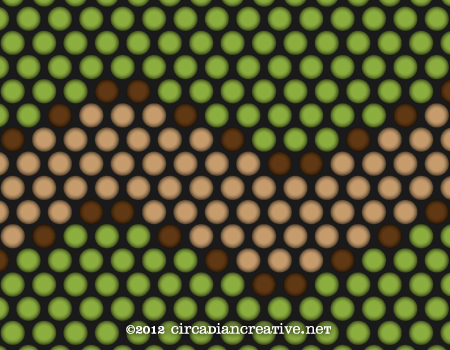 After I created an image that resembled a bonsai from several groups of circles, I extracted just the ones I needed from the grid. The resulting tree-shape is a modern image that uses positive and negative space which is a very important aspect of bonsai design. In bonsai design, you use the foliage areas of the tree to frame the trunk. In this way a good design will guide the viewer’s eye to see the parts of the trunk that lend to the illusion of a miniaturized version of a much larger, ancient tree. The foliage is also used to hide weak or flawed areas of the trunk or branches that detract from that illusion. In my modernist design the many circles are used to create the foliage and the pot. The negative space forms the trunk and branches. For typography I wanted to incorporate a script, but again, no clichés. I chose an elegant but informal script called Charme. The characters have smooth wide strokes that modulate calmly from thick to thin. On some characters you get an abrupt, terminating stroke, like at the top of the ‘o’ and the dot of the ‘i’ in the word Bonsai. 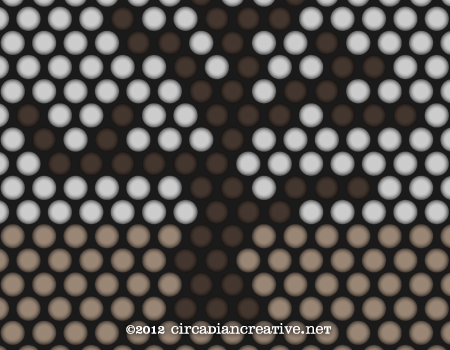 This hints at an oriental brush but it is a subtle effect. I also wanted to use a transitional or sans serif typeface to create an official or credible tone to the composition. I chose to set the word Potomac and Association in all caps using Gill Sans. Perhaps some refinement is in order, but overall I like this design and thoroughly enjoyed working on it. I’m sure it will emerge from the dust bin of my hard drive for another project and get a second chance at life someday.